Here's an excerpt from a sort of newsletter-y thing I wrote mostly for my own edification about taking a trip to London over Thanksgiving. It was pretty awesome, you guys. Here comes a random assortment of photos and stuff slash facts. The way that the UK grocery stores handle bottle storage and baggage is nothing short of brilliant. 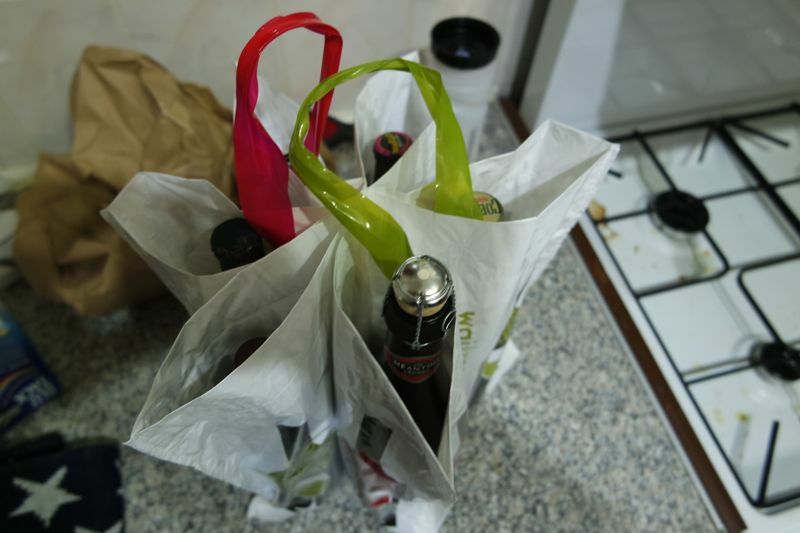 In a city where a very small percentage of people own cars, and most travel by bus and trains, their solution to the problem of hauling around a large number of bottles is elegant and clever. The US needs to get on board with this. 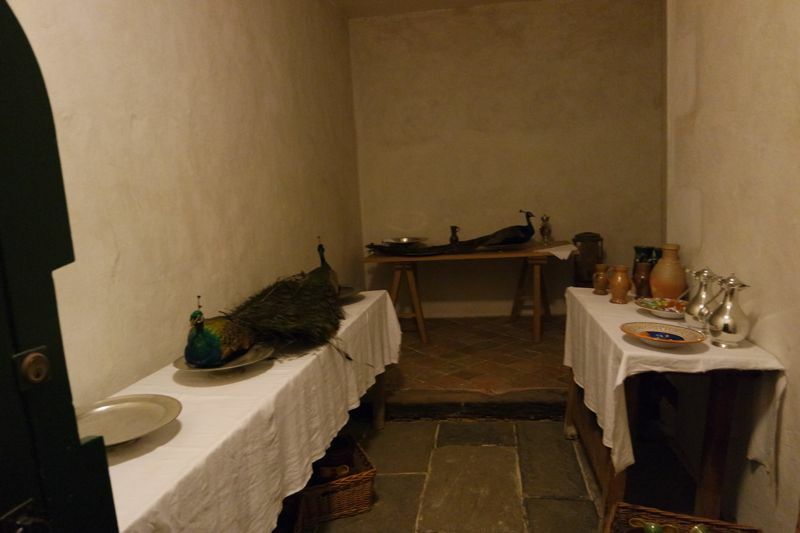 Henry VIII apparently loved eating peacocks, which were a delicacy. A thing that is interesting about the UK in the wintertime is that the sun sets around four PM, which is odd and a little unsettling, especially at first. 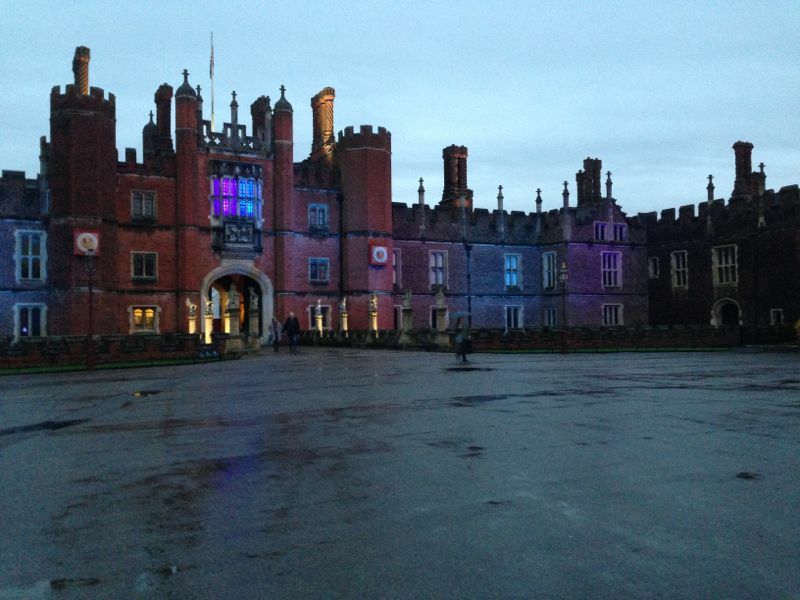 On the plus side, they lit up Hampton Court Palace beautifully several hours before suppertime. 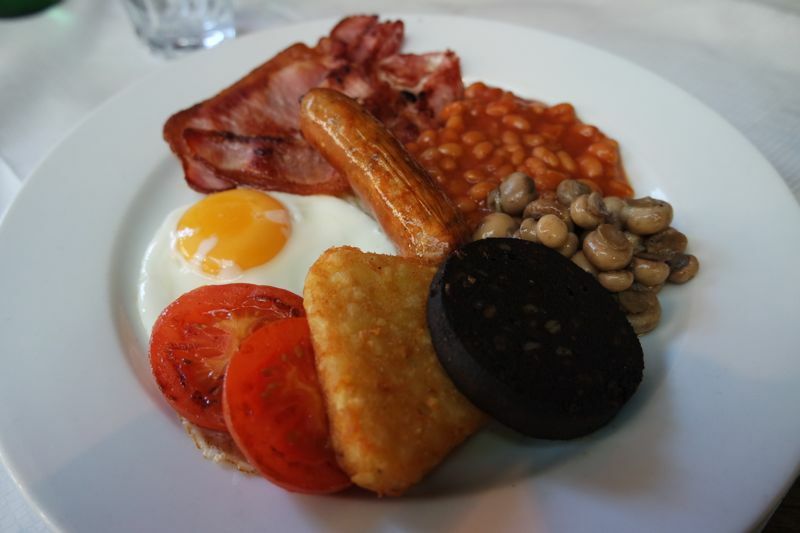 The "Full English," with bacon, baked beans, tomato, egg, sausage, hash browns, mushrooms, and black pudding. 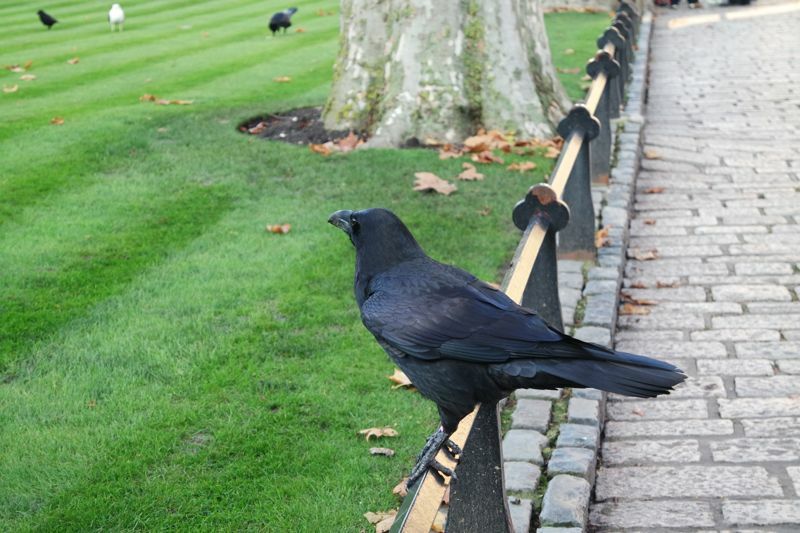 The Tower of London is home to a bunch of ravens, the "guardians of the tower." There's a legend that "If the ravens leave the Tower, the kingdom will fall." These suckers were HUGE, too. I had no idea that ravens were this enormous. 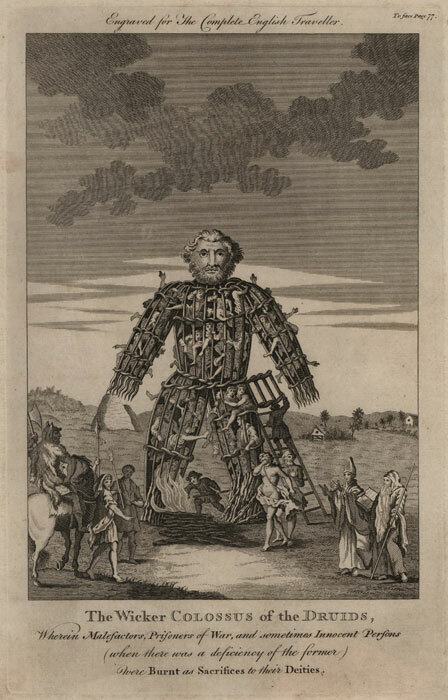 Went to the British Library, to see an exhibition about Terror and Wonder: The Gothic Imagination, a collection of artifacts and books about Gothic literature, art, and pop culture. 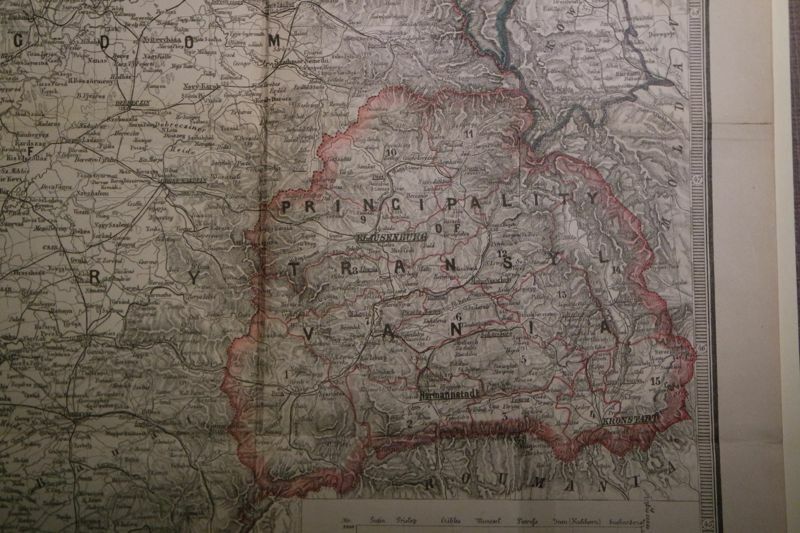 This is one of the maps of Transylvania that Bram Stoker actually used while doing research for the writing of Dracula. Research that he did at the British Library. Also seen: a vampire hunting kit, Jack the Ripper's original "Hello Boss" letter, a page from Exodus written in Greek from the 3rd century, original Leonardo Da Vinci sketches, the Magna Carta, original pencil hand-written lyrics to many Beatles songs, hand-written Mozart compositions, and on and on and on. Breathtaking stuff.